As a long-distance runner off and on for the past, I absolutely detests hills. While there are many apps that can measure elevation and slope for certain routes, understanding spatial data on a line graph or even an elevation map can be difficult. 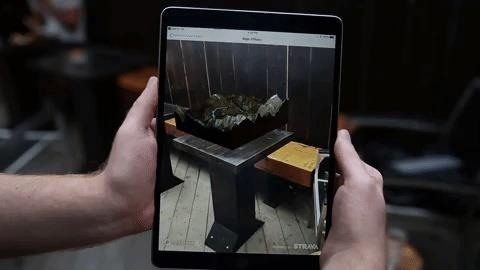 A solution arrives by way of Fitness AR, a new iOS app fueled by ARKit, helps runners, bikers, and hikers visualize past and future routes in 3D. 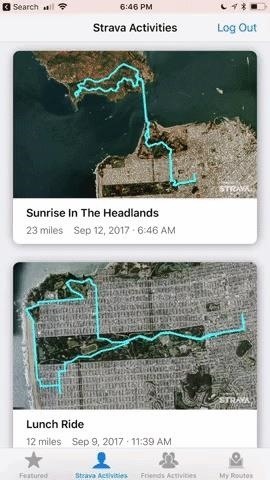 Fitness AR pulls geospatial data from Strava, a service that tracks fitness activity and renders it into a 3D map using Mapbox Unity SDK, which connects with ARKit to display the model. Users can manipulate the orientation of the map with multi-touch gestures and record video of the map to share with others. Published by BuiltOnAR, the app is the product of developers Adam Debreczeni, former design lead at Google for VR and Material Design, and Eric Florezano, creator of VR game Soundboxing. "I'm an avid cyclist and when I discovered what was possible with ARKit, the first thing that came to mind was how powerful it would be to be able to share the exhilaration and challenges of a ride in 3D. 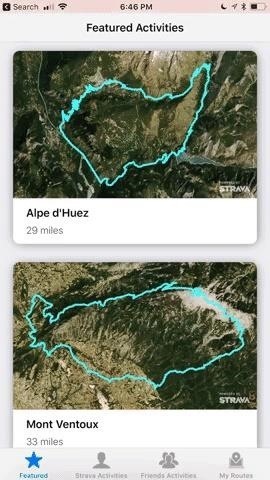 With Strava and Mapbox, this app lets anyone bring their runs, rides and hikes to life in breathtaking augmented reality. The long awaited promise of the capabilities and the genuine utility of AR is here and we're thrilled to be among the first to see how the world will react to experiencing it," said Debreczeni via news release. If you're an iPhone or iPad owner and a cardio fitness fanatic (or a fan of terrain maps), it's worth a download to try it out.